Thanks to the amplified image produced by a gravitational lens and the Gran Telescopio Canarias (GTC), a scientific team from the Polytechnic University of Cartagena and the Institute of Astrophysics of the Canary Islands (IAC) discovers one of the brightest galaxies to date when the Universe was 20% of its current age. According to the theory of General Relativity Einstein, when a ray of light passes near a massive object, the severity of that object attracts photons and deviates from its initial course. This phenomenon, called gravitational lens is the same producing lenses on light rays and acts as a magnifying glass, increasing the size of the object. Using this effect, a scientific team from the Institute of Astrophysics of the Canary Islands (IAC), led by researcher Anastasio Diaz-Sanchez, of the Polytechnic University of Cartagena (UPCT) has discovered a distant galaxy, about 10 billion years light and about 1,000 times brighter than the Milky Way. It is the brightest known submillimeter galaxies called strong emission present in the far infrared. 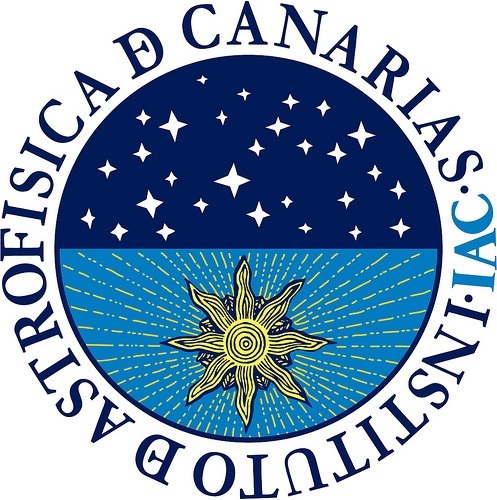 In his characterization he has participated the Gran Telescopio Canarias (GTC) located at the Observatorio del Roque de los Muchachos (Garafía, La Palma). To find this galaxy, whose discovery was recently published in an article in Astrophysical Journal Letters, a search was realized across the sky combining databases of WISE (NASA) and Planck (ESA) satellites to identify brightest submillimeter galaxies. This light, amplified by a cluster of nearby galaxies that acts as a lens, gives an even greater apparent brightness of it actually has, and because of this effect might characterize their nature and properties spectroscopy using the GTC. Roque de los Muchachos Observatory, Garafía, La Palma, Canary I slands, Spain. Forming stars at high speed. This galaxy stands out as having a high rate of star formation, ie, is generating stars whose total mass is about 1,000 times the mass of the sun. By way of comparison, the Milky Way form each year stars with a total mass of twice the Sun. In this regard, Susana Iglesias-Groth, astrophysics IAC and co-author, adds: “These types of objects are home to the most powerful star-forming regions known in the universe and the next step will be to study their molecular wealth”. The fact that the galaxy is so bright, is amplified and has multiple images will delve into its gut, something impossible to carry out otherwise in such remote galaxies. “In the future, we can do more detailed studies of stellar formation using interferometers as the Northern Extended Millimeter Array (NOEMA / IRAM) in France and the Atacama Large Millimeter Array (ALMA) in Chile,” says Helmut Dannerbahuer, researcher IAC has also contributed to this discovery. Science paper: Discovery of a very bright submillimeter galaxy at z = 2.0439 by Anastasio Diaz Sanchez, Susana Iglesias Groth, Rafael Rebolo and Helmut Dannerbauer, 2017, ApJ Letter.